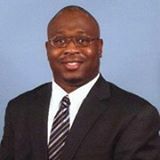 Ken Robinson – Integra Insurance Services is located in Marietta, Georgia, providing service for clients in Marietta and the surrounding area. Ken Robinson is a veteran insurance professional, having over 14 years experience as a successful agent with Travelers Insurance, Principal Financial Group, and American Family Insurance. In mid-2013 Ken made a strategic decision to leave American Family Insurance and join Integra Insurance Services as an Integra Partner Agent. As an Integra Partner Agent we are able to offer you exceptional coverage’s and options. We can help you with most of your insurance needs. As an Integra Partner Agent, we are able to offer you more coverage options and better premiums from a number of different carriers. The types of policies we offer are Personal Auto, Homeowners, RV, Watercraft, Motorcycle, Business, Life, and Health Insurance. We will work hard to provide you the best coverage for your insurance needs at the best price available. We look forward to building a strong and lasting relationship with you. Integra Insurance Services, formerly known as Huntington Insurance Agency, is a multi-location independent insurance agency headquartered in Huntington, Texas. Tracing our roots back to 1947 and under current ownership since 1983, we made a strategic decision to become a regional insurance firm in 1998, and during this transition the name of the agency was changed to Integra Insurance Services to better reflect our cornerstone principle to "Do the Right Thing". All Integra Partner Agents strive to do the best we can for our customers in every way possible. WEBSITE DEVELOPMENT BY EZLynx® • KEN ROBINSON - INTEGRA INSURANCE SERVICES COPYRIGHT © .